Classified advertising is the lowest-cost way to advertise in the Heights Observer. Classified ads are printed in black-and-white, and grouped together in a single area of the newspaper. The Heights Observer is published monthly. You may purchase classified ads for a term ranging from 1 to 12 months. The longer the term, the lower the cost per month. Payment for classified ads (check or credit card) is due when an order is placed. For terms of 3-12 months, you may elect to pay in full or for 3 months at a time. 2. Save the form to your computer hard drive (right click > save as). 4. Deliver the completed form and payment to FutureHeights by e-mail (info@futureheights.org); mail (FutureHeights, 2843 Washington Blvd. Suite 105, Cleveland Hts., OH 44118); or drop it off at our office (former Coventry School). 5. We'll create your ad and e-mail a proof for approval. 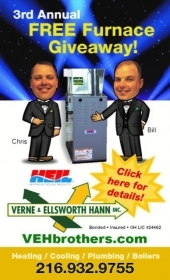 Questions about classified advertising? Contact Bob Rosenbaum at 216-401-9342 or by e-mail at info@futureheights.org. Sign up for occasional e-mail notifications specifically for advertisers and other community-based businesses/organizations. The Heights Observer is an efficient way to reach your core local audience and strengthen your customer base. All proceeds from publishing are returned to the community in the form of programming by FutureHeights. So advertising is not only good for your business, its a good deed. If you're interested in classified ads, visit the Classified Advertising section for details and instructions. 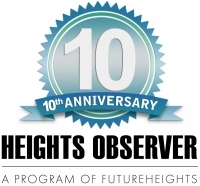 The Heights Observer currently publishes monthly, with a circulation of 9,000. 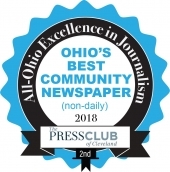 Volunteers deliver papers to more than 175 businesses in Cleveland Heights and University Heights, and we have nealry 500 subscriptions for monthly home delivery. You can find the paper at these locations. Reach your target audience and support hyperlocal nonprofit community news at the same time.